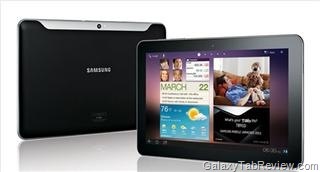 There are 2-3 ways by which you can unlock the bootloader of your Galaxy Tab 10.1. The one which I prefer and recommend is by an xda user chainfire (which I will explain in this post). 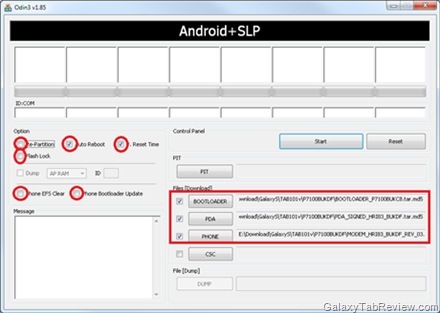 This method involves flashing the custom stock ROM that also unlocks the bootloader. After that you can flash any 10.1 custom ROM. Anyway, here is how to flash this ROM and thus, unlock the bootloader. Turn your tablet off and unplug it. Wait for 30 seconds. Press-and-hold the power button and very shortly after (0.5 seconds, but not simultaneously) press-and-hold the left volume button. Then, release the buttons as soon as you see something on screen. You should be looking at a USB icon and a digging Android icon. After that you can install any ROM. For example: This ROM that comes without TouchWiz UI.